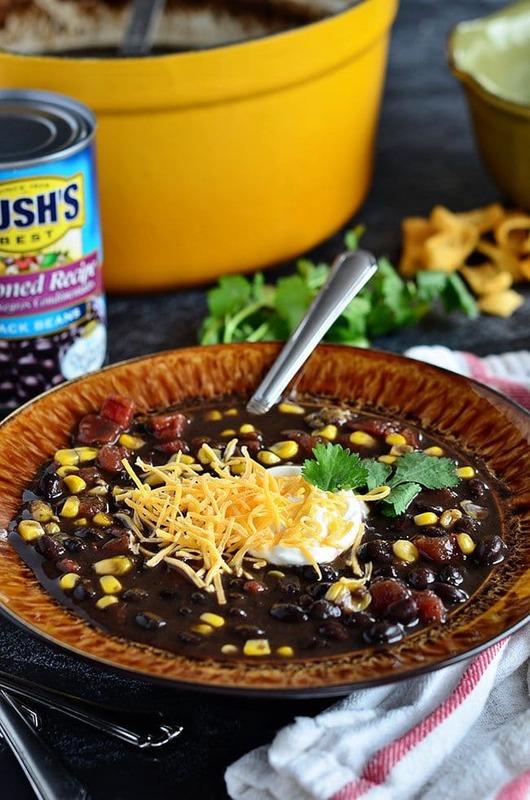 Take the chill off with a bowl of this Hearty Southwest Black Bean Soup. 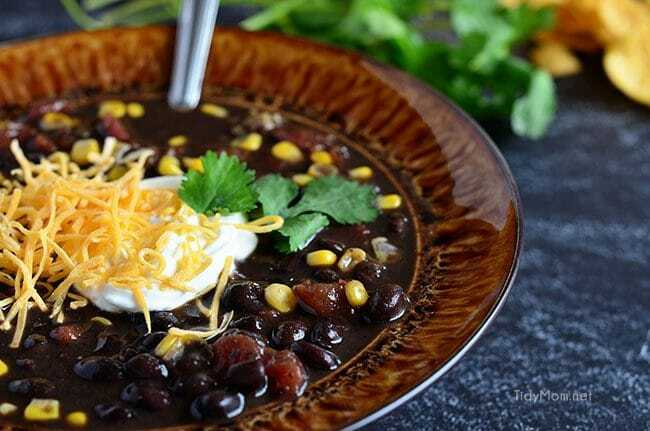 This Hearty Southwest Black Bean soup is super easy to prepare and, like many soups and chilis, it only gets better with age. You can have it on the table in 30 minutes, but if you have time, make it early and let it simmer a few hours or even a day ahead before serving. The bold flavors get a chance to mingle with the beans and the soup becomes a zippy southwest nirvana! I love to keep my pantry stocked with beans (Bush’s Beans being our favorite), they add texture and flavor and come in super handy when I forget to take something out of the freezer for dinner. Beans are filling and have great nutritional value, making them easy to turn into a delicious dish I feel good about serving. I made this black bean soup the other day when scouring the pantry for something to make for dinner. I haven’t gone grocery shopping since before Christmas and we are in the midst of historical flooding — many roads and highways are shut down. 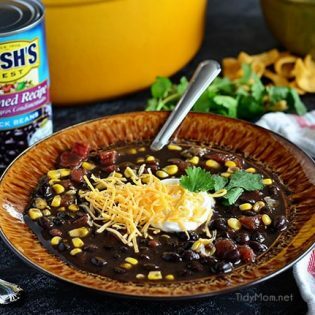 I checked my can goods, and as always, I had lots of Bush’s Seasoned Recipe Black Beans, canned corn and even a can tomatoes with green chilis – perfect for making black bean soup! This black bean soup is all about the rockin’ good flavor. The spices are going to be key. Feel free to play around with what suits your taste. If you don’t have something, like the chipotle chili pepper, just leave it out or increase the chili powder or red pepper flakes if you need more zip! 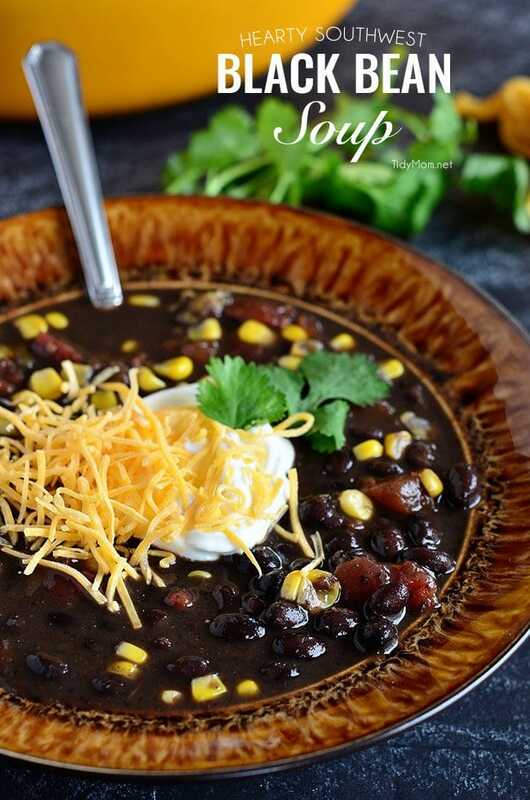 CHECK OUT HOW EASY THIS SOUTHWEST BLACK BEAN SOUP RECIPE IS TO MAKE! WATCH THE VIDEO! This Hearty Southwest Black Bean Soup is full of flavor, you’ll never miss the meat. Ready for the table in 30 minutes, but it’s even better the next day! Place one can of beans in blender; add garlic, chili powder, red pepper flakes, chipotle chili pepper, cumin and salt. Cover and blend on high until smooth, about 30 seconds. Pour mixture into stockpot. Disclaimer: I grew up in a house that used Bush’s Beans. I am now fortunate to have an working relationship with them as a brand ambassador for the last 5 years. As always, all opinions and views are my own. Thank you for supporting the brands that make TidyMom.net possible. Just finished having this for dinner-delicious ! I used leftover black eyed peas ( from our New Years Day Dinner ) and 1 can of black beans. Everything else was as listed in the recipe. The spiceyness was just right combined with the sour cream and cheese used for garnish. 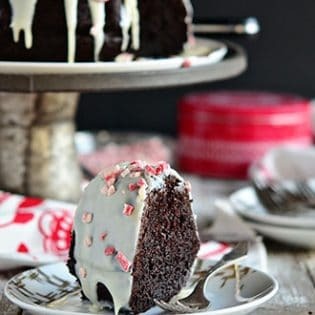 Thank you for adding to my winter comfort foods! glad you enjoyed it as much as we did! It’s finally feeling like winter around here. A huge bowl of your fabulous black bean soup would be a welcome dinner! What a gorgeous healthy soup! Making this for sure!! Happy New Year! Oh no – I hope your flooding subsides! But how fortunate that you’re ready with black beans in the pantry to make this comforting and delicious soup. It looks absolutely fabulous & how great that it’s easy to make! I could eat bean soup every day!! I love healthy Mexican inspired soups!! What a beautiful and flavorful soup – love it! What a delicious looking soup. I love the contrast of all the colors, and your photos leave me drooling! We love black bean soup here! I’m always up for trying a new recipe. Your photos are gorgeous…I wish a bowl of your soup could jump off the computer screen and onto my kitchen counter! 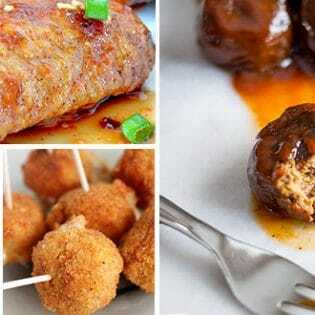 Looks like the perfect weeknight dinner! Happy winter! Confessions time… I have never cooked with black beans. Maybe because of all the picky eaters at home but this looks so yummy especially with the corn and sour cream. Must try ! This looks so good and easy. Black beans are my favorite for soups and chili! What a perfect dinner for a cold day like today! Yum. I always make my chili and soup recipes a day ahead for the very fact that the flavors get better with time. This soup looks amazing. Love me some black bean soup! It is snowing here right now, and this soup looks absolutely perfect for dinner! And I even have beans in my pantry, so I can make this tonight!